Bought sausage to make biscuits and gravy….it was accidentally Italian. Turning lemons into lemonade, I added that to a pizza with mushrooms and banana peppers. Mmm! I’m so proud of myself for cooking at home on a Saturday night! 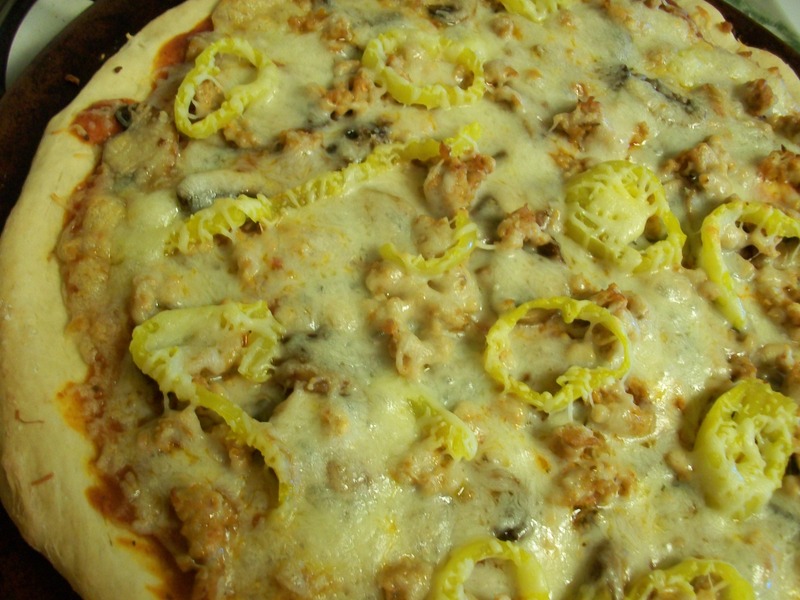 Posted in Main DishTagged banana peppers, cooking at home, Italian sausage, mushrooms, Pizza, Saturday nightBookmark the permalink.